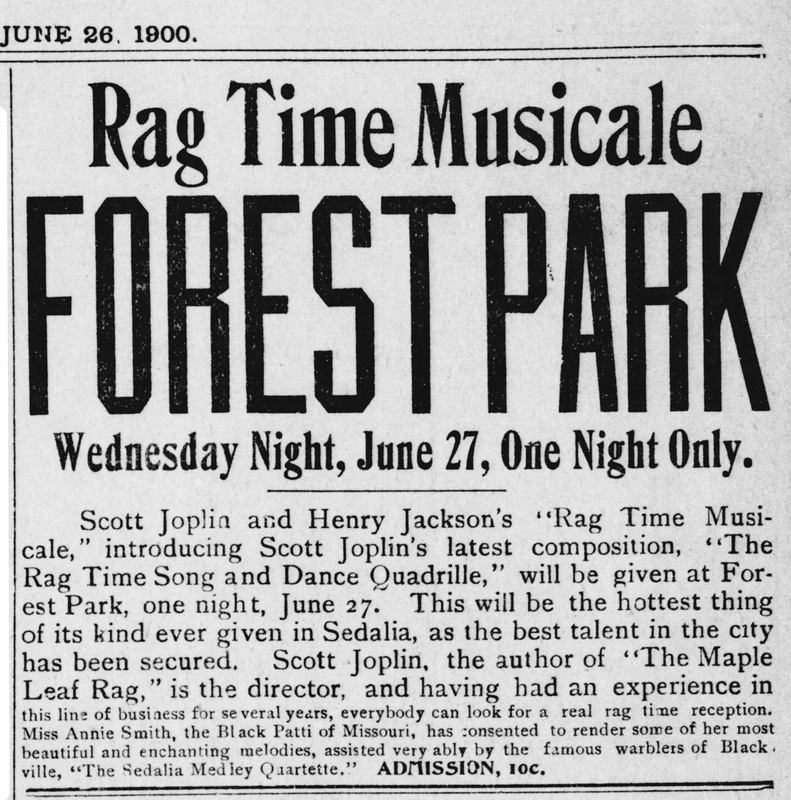 A major goal of the Sedalia Ragtime Archives project is to produce and make available a series of public exhibits on Sedalia’s ragtime heritage, both of a permanent and temporary nature. The first major efforts have resulted in two exhibits, installed in time for the 2016 Ragtime Festival. In ten unique display cases, and three placards, important aspects of Sedalia in the Ragtime Era, 1895-1904, are portrayed to help provide a sense of why Joplin and his colleagues came to Sedalia and returned frequently during the initial period of their compositional creativity. Sedalia’s major employers: the railroads and the entertainment district, the educational opportunities, the growing commercial vitality, and the music publishing enterprises, as well as the political and recreational side of the community, are recognized. Click this link for a brochure providing an overview of the exhibit. This series of three panels illustrate the (1)background to Joplin’s Classical Ragtime music, (2) the extent of his ragtime compositions and those of his immediate contemporaries, and (3) the impact Joplin’s creativity had on American popular music. The exhibit consists of small copies of sheet music covers and photos of the important participants and events in this saga of American music. Click this link for a brochure providing context for this topic.